Shoshana Fuld, the sister-in-law of Ari Fuld, who was murdered in a terrorist stabbing attack at the Gush Etzion Junction this morning, eulogized her brother-in-law as a "true hero." "Ari believed in the people of Israel, in the Land of Israel, according to the Torah of Israel. He loved the land. He was an educator, a teacher, and fought constantly for the truth to come out into the world." Shoshana said. "This morning he went shopping and a terrorist stabbed him in the back, striking him in the lung - and then he died of his wounds. The people of Israel and the Land of Israel have lost a true knight today whose entire soul and work has become the sanctity of the name and the people of Israel," the sister-in-law added. Israeli politicians from across the political spectrum also eulogized Fuld. 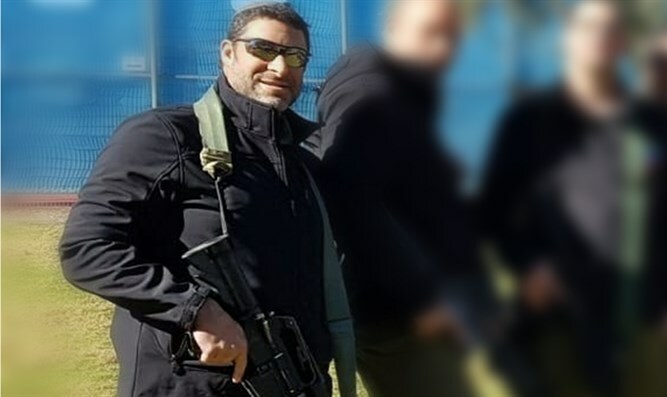 "On behalf of all the citizens of Israel, I send condolences to the family of Ari Fuld, who was murdered today in the Gush Etzion Bloc," Prime Minister Binyamin Netanyahu said. "With his last strength, Ari fought heroically against the terrorist and prevented a greater tragedy." The prime minister added: "Ari was a wonderful father to four children. He was an advocate for Israel who fought to spread the truth about Israel." President Reuven Rivlin stated: "I want to send my deepest condolences to the Fuld family, to the residents of Efrat and to the entire Gush Etzion residents, for the horrific murder of Ari Fuld. Unfortunately, despite the supreme work of the security forces to prevent terrorism, the murderer succeeded in carrying out the despicable attack." US Ambassador to Israel David Friedman condemned the attack and noted that Fuld was a US citizen. "America grieves as one of its citizens was brutally murdered by a Palestinian terrorist,” Ambassador Friedman tweeted. Fuld will be laid to rest at the Kfar Etzion cemetery Sunday night at 11:30 p.m. He is survived by his wife, Miriam, and his children Yakir, Naomi, Natan, and Tamar.